I just watched a video where IBM and two IBM partners discuss Managed Service Providers (MSPs), cloud, mobile, and transforming your business with technology. The video is part of a new IBM series targeting SMBs and demonstrating how cloud, mobile, and their MSP partners can transform or launch your business for very little money. 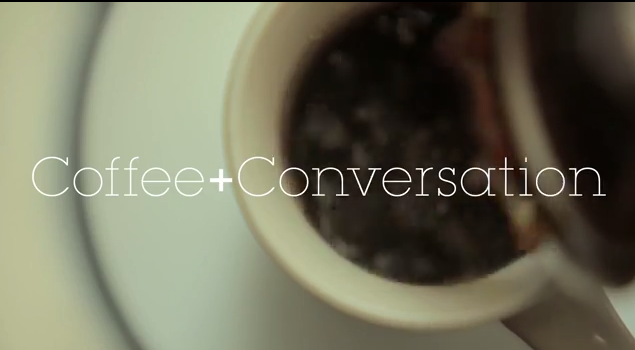 They call the series Coffee and Conversation. It’s a casual and relaxed conversation over coffee about technological transformation. The two companies represented in this first video are CloudView and WakaDigital. The message of the video is clear: MSPs can help transform or launch your business for little money and give you the global exposure and agility required to succeed in today’s market. It sounds simple and it is simple. Personally, if I were to launch a new business today, I would not lease office space. I wouldn’t buy or even lease a bunch of hardware for my own server room. I certainly wouldn’t go into massive and crushing debt to acquire the hardware, software, support staff, maintenance contracts, and the myriad of costly services and personnel required to run the business. Appear as a larger company. Quickly spin up a usable computing infrastructure. Enable my customers to interact with me via mobile and cloud technologies. Allow customers to purchase my products and services securely online. Now I know that sounds far-fetched but it isn’t. Finding the right business partners is essential to your success. Your MSP is your business partner. It provides everything you need to run your business from a technology perspective. All you have to worry about is how to manage your supply chain, contingent workers, and accounting. But guess what? IBM has a solution for all of those problems too. Their partners cover the gamut of every needed service and possible line of support that you need. As Leila Ashley (CloudView) says in the video, this new agile business model “levels the playing field” for SMBs who need to compete with hungry start-ups, as well as, established, well-funded enterprises. Ms. Ashley goes on to zero in on an important aspect of this new business model by stating that they can launch an e-commerce site in a day’s time instead of a week. What she’s telling you is that you can effectively have an idea at 8AM and realize that dream by 5PM the same day. You don’t have to wait for proof of concepts, ordering new hardware, procuring software, installing, patching, and updating any operating systems or applications. You have an agile, automated solution waiting for you with very few obstacles and very low entry barriers. Business is different today than it was even ten years ago. Cloud technologies and agile systems allow us to respond to changing business needs, to test new products and new markets without a heavy capital investment, and without long delays. We can now respond within the windows of opportunity that present themselves to us. That is true agility. And what about businesses that can’t make the transition? Denise Garth (IBM) makes an excellent point in the video by observing that businesses either will transform or possibly become irrelevant. Forty years ago, you weren’t relevant if you didn’t have a Yellow Pages ad. Ten years ago, you weren’t relevant if you didn’t have a website. Today and tomorrow, you might become irrelevant if you can’t meet the challenges of a transformed business. Sure, some might say that business is business and people don’t change but, on the other hand, technology has transformed the customer into a technologically-connected buyer. That’s relevant to any business. Businesses must transform to meet the needs of the new customer paradigm. Online, agile, cloud-oriented, connected, mobile, and social media-savvy is the new business paradigm. IBM’s MSP partners can help you transform your business. Level the playing field by contacting IBM and its partners and go have a cup of coffee. While you’re sipping on that hot cup of bean juice, take a look at how other companies just like yours are being transformed.